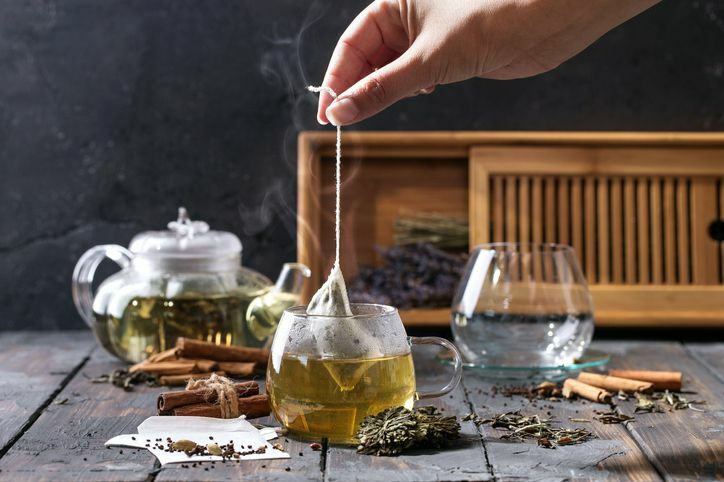 A common question among tea drinkers is: does loose tea–if steeped–have more caffeine in it than comparably sized cups of tea made from tea bags? The question of caffeine levels in tea is slightly more complex than a teabag versus loose leaf tea issue. Among other things, it has to do with the "grade" of the tea leaf (how broken it is or isn't). Tea leaf grading is a standardized process that allows tea producers (and drinkers) to evaluate tea products based on the quality and condition of the tea leaves. The leaves of the tea are examined and given grades. The teas with the highest grades are commonly known as "orange pekoe" and the teas with the lowest grades are called "fannings" or "dust." The fannings are actually just the smaller, broken-off pieces of tea that remain after the higher grade tea is gathered. Any very small particles of fannings are known as dust. These are the lowest grades of tea; however, fannings or dust of very expensive teas can actually cost more money (and be more flavorful) than the full, whole leaves of a more inexpensive tea. A lower grade of tea is more broken, so it has more surface area. The higher ratio of surface area to leaf volume changes the rate at which various compounds infuse and increases the overall rate at which the tea infuses. As a result, tea ends up releasing more of its caffeine when it is broken than when it is the whole leaf. Broken tea also releases the caffeine more quickly than whole leaf tea. Most tea bags are made with broken leaf tea and most loose tea is the whole leaf. This usually means that tea bags will have more caffeine than their loose-leaf equivalent. However, this is not always true and also depends on the tea variety. Some teas–like black tea, green tea, and other tea blends–naturally have caffeine in them. The amount of caffeine varies so it's important to check labels and know how much caffeine is in your favorite tea. Additionally, hotter water and a longer steeping time will draw more caffeine out of the brewed tea. Conversely, cooler water and a shorter steeping time will extract less caffeine. A good frame of reference is to compare the caffeine in black tea with a cup of brewed coffee. A six-ounce cup of black tea has about 50 milligrams of caffeine and a cup of brewed coffee has about 95 milligrams. It is not possible to fully decaffeinate tea, so decaf teas do contain trace amounts of caffeine. Most herbal teas like rooibos or chamomile are naturally caffeine-free. They do not come from the Camellia sinensis plant, which produces black, green, and white teas. Another decaf option is fruit teas. While they are not technically a true "tea," fruit teas are made from fruits, do not contain added sugar, and are caffeine-free. How Much Caffeine Is in White Tea?